On December 2, 2017, over 275 communities from every continent (except Antarctica) simultaneously hosted 12-hour-long hackathons in the 4th annual MLH Local Hack Day, the LARGEST Local Hack Day in the world. 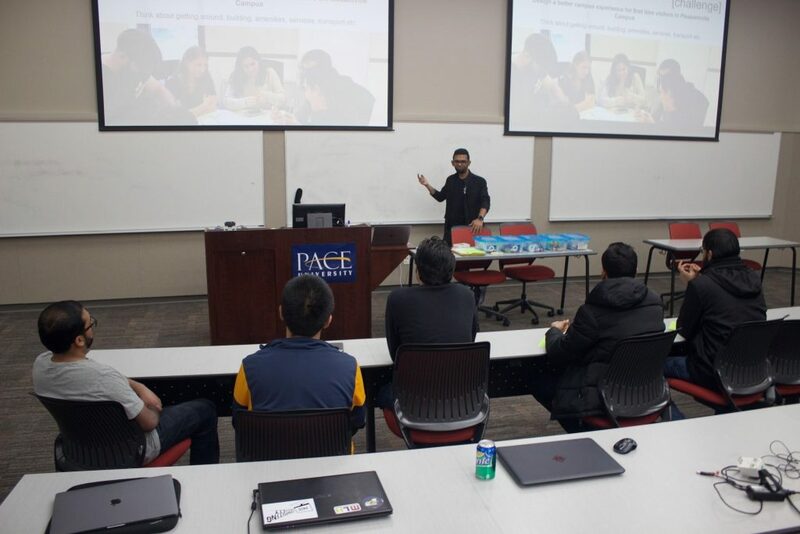 Pace University’s Pleasantville campus was just one of those communities, hosting its first ever hackathon in the Stephen J. Friedman Multipurpose Room in Willcox Hall from 9:00am-9:00pm. 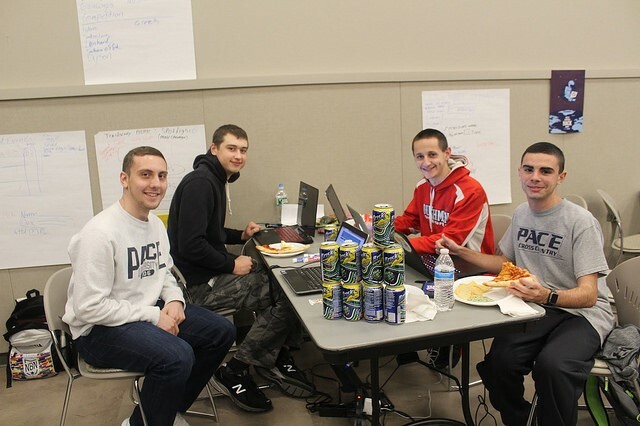 The idea to participate in Local Hack Day was presented by Seidenberg’s own seasoned hackers Drew Ku (BS Information Systems ’20) and Angel Rodriguez (BS Computer Science ’20), and facilitated by the fantastic Assistant Dean for Academic Innovation Andreea Cotoranu. 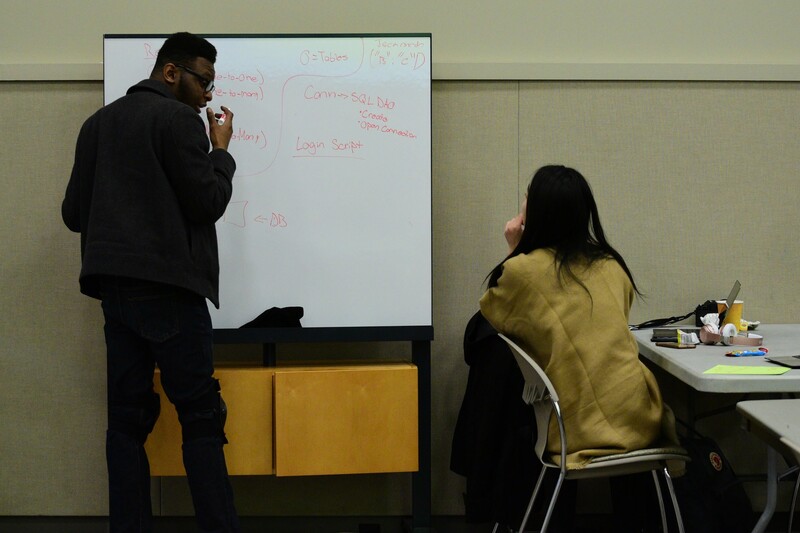 After a great deal of thought, this terrific trio decided upon setting the theme of the hackathon to social innovation. According to the Canadian Centre for Social Innovation, “social innovation refers to the creation, development, adoption, and integration of new concepts and practices that put people and the planet first. Social innovations resolve existing social, cultural, economic, and environmental challenges.” That being said, it is almost impossible to imagine a more perfect theme for a hackathon! Because of the topic’s broad nature, participants were easily able to find brilliant solutions that better the planet, daily life, communities, and efficiency of everyday tasks. 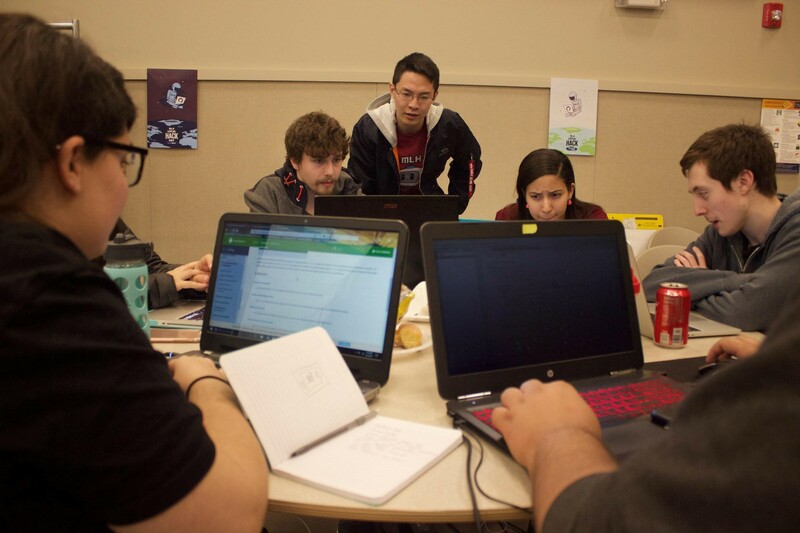 On the day of the event, a total of 11 teams and 41 high school, undergraduate, and graduate students came out as early as 8:30am for this hacking extravaganza. A wide range of skill levels was present, and although beginner-level coder Justin from Mamaroneck High School found the process of developing his own program difficult at first, he felt better with guidance from faculty and student experts. In addition to faculty and student mentors providing assistance throughout the day, workshops were held to accommodate all skill levels. These workshops were led by Ben Longobardi (MEAN Stack), Drew Ku (Python and APIs), Pace alumnus and adjunct professor Dhruv Gandhi (product development and design thinking), and Angel Rodriguez (HTML/CSS). At 7:00pm, all hackers submitted their projects via DevPost and began pitching and demoing their ideas to an esteemed panel of judges comprised of Chief Executive Nerd of Kool Nerd Club Orane Barrett, Founder and Lead Developer of Swapity Brian Brunos, as well as Seidenberg’s own Andreea Cotoranu and students Blake Hofland, Ben Longobardi, Drew Ku and Angel Rodriguez. Participants had three minutes to pitch and demo their projects. It was so amazing to witness the variety of ingenious solutions that were presented! And, of course, a TON of awesome prizes were given out! 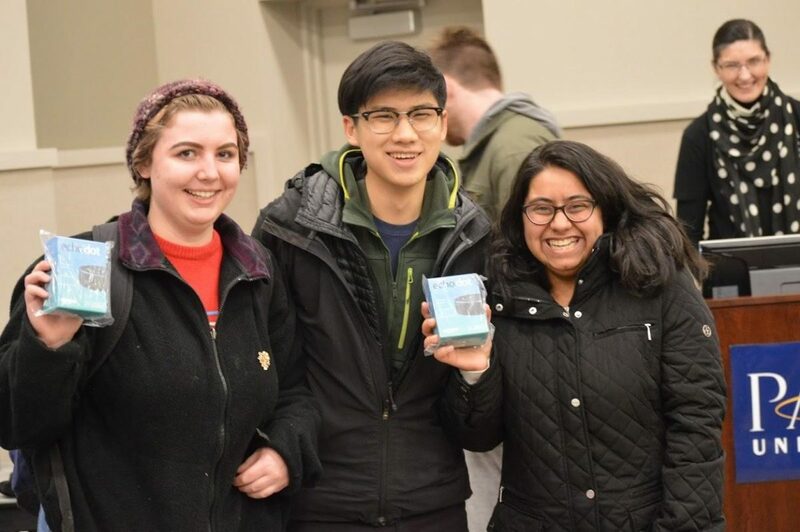 Among these prizes were some Amazon Echo Dots, Raspberry Pi computers, board games, two of the coveted Seidenberg sweatshirts, and a Kool Nerd Club hoodie. 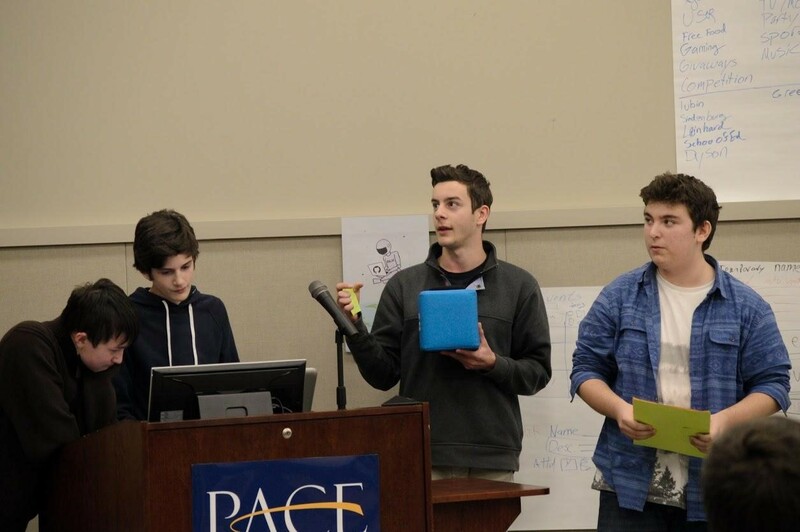 Being Pace University’s first ever hackathon on social innovation, this event was undoubtedly a roaring success. Not only was it a blast for everyone who attended (participants, mentors, and staff alike), but it was a tremendous learning experience for all! All day long, participants ideated, collaborated, created, and demoed projects that resulted in marvelous solutions to problems we all face. In doing this, students were able to think outside the box and combine their immense knowledge of technology with their awareness of the world around them and, ultimately, grow intellectually and as global citizens. Which, when you think about it, is exactly the purpose of resolving social issues! This would not have been possible without the student participants, staff, and volunteers who made this day so memorable. The entire Seidenberg community would like to extend a special thank you to our sponsors: Virginia LeTourneau ‘85, the Seidenberg School of CSIS, Kool Nerd Club, and Swapity. Also, thanks to our student mentors, workshop leaders, judges, and especially to the Pace Photography Club for capturing the event.